High-definition televisions offer an amazing picture but often lack the powerful, realistic sound that movie, music and game enthusiasts enjoy. The new SONOS PLAYBAR delivers sophisticated home theater acoustics and wirelessly streams all the music on earth. And it all comes from one easy-to-use player that brings HiFi sound to HDTVs. The nine-speaker design of SONOS PLAYBAR complements cinematic HD screens with richly-textured HiFi sound for TV, web, movies or video games. 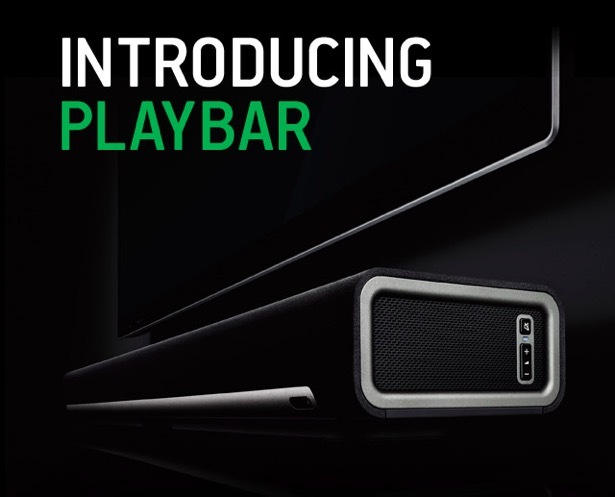 Like other Sonos all-in-one wireless music players, the PLAYBAR allows you to wirelessly stream all the music on earth. It connects using a single optical cable and plays everything that’s connected to the TV, including cable boxes and game consoles. For an easy and secure wall-mounting solution either horizontally above or below the TV, use the PLAYBAR Wall Mount Kit (sold separately). While perfect on its own, add a SUB for big bass sound and then add a stereo pair of PLAY:3s for a more immersive home theatre experience. INTRODUCING SONOS PLAYBAR Unleash Your TV Sound. Unleash All The Music On Earth. Sonos, Inc., the leading manufacturer of wireless audio systems, today introduced SONOS PLAYBAR™, the soundbar for music lovers. PLAYBAR brings immersive HiFi sound to the TV and, being a full Wireless HiFi System, streams all the music on earth through one easy-to-use player. HiFi meets HiDef globally beginning March 5. To see a preview video of PLAYBAR, visit www.sonos.com/playbar. The sophisticated all-in-one design of PLAYBAR combines exposed aluminum with high performance speaker fabric for a look that’s timeless, understated and because it does not require a subwoofer or speaker wire, easily fits into any room and setup. Its built-in sensors help PLAYBAR automatically adjust EQ and channel orientation so it can lie flat on the TV stand or rotate for low profile wall-mounting above or below the TV. Under the hood, PLAYBAR gets its punch from nine individually amplified speakers: six mid-woofers to deliver deep, rich low-frequency sounds, and three tweeters for crystal clear high-frequency detail. PLAYBAR’s advanced speaker array technology combines hardware and software to create a surprisingly wide soundstage beyond the physical soundbar, while maintaining crisp, centred vocals. Whether you are watching a movie, playing a game or streaming a song from Songza, Rdio or Slacker, PLAYBAR will always sound much clearer, not just louder. Designed for easy setup and use, PLAYBAR connects to the TV with a single optical cable, playing everything that is connected to it, including cable boxes, Blu-ray players and game consoles. It understands common audio formats output by TVs including Dolby®Digital. Customers can control the volume or mute with a regular TV remote or with one of the free Sonos Controller apps for iPhone, iPad, Android, Mac or PC. PLAYBAR works seamlessly within the Sonos wireless audio family: Pair PLAYBAR with the award-winning SONOS SUB for deep waves of spine-curling, jaw-dropping sound and add a pair of PLAY:3s to act as wireless surround speakers for an immersive 5.1 home theater surround sound experience. PLAYBAR will retail for $749. Buy the PLAYBAR and other Sonos products at Sonos.com, Future Shop, Best Buy Canada and our independent dealers including top dealers Bay Bloor Radio (Toronto), 2001 Audio Video (Ontario), Visions (Western Canada), Hi Fi Centre (Vancouver), National (Edmonton), and Fillion and La Boutique in Montreal. For more information on SONOS PLAYBAR, including technical specifications and more, please visit Sonos.com/playbar. Sonos also released a free software update for the Sonos Wireless HiFi System. 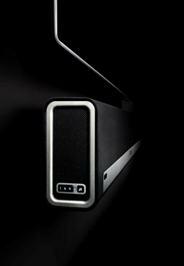 Sonos System Software 4.0 introduces enhancements that make it faster and easier to play all the music on earth. Sonos Favourites provides one-touch access to your favourite music from any Sonos source (music library, streaming services and radio stations), right from the music menu. The Sonos Controller for Android features a new widget that allows you to control Sonos directly from your Android home screen. Plus, the Sonos Controller for iPhone has been optimized for the larger screen of the iPhone5. The free one-button software update is available now.